Mad Beauty Limited is a UK design led, award winning leading manufacturer of beauty products serious about making cosmetics fun and the creative kid at heart in me screams yes yes yes! 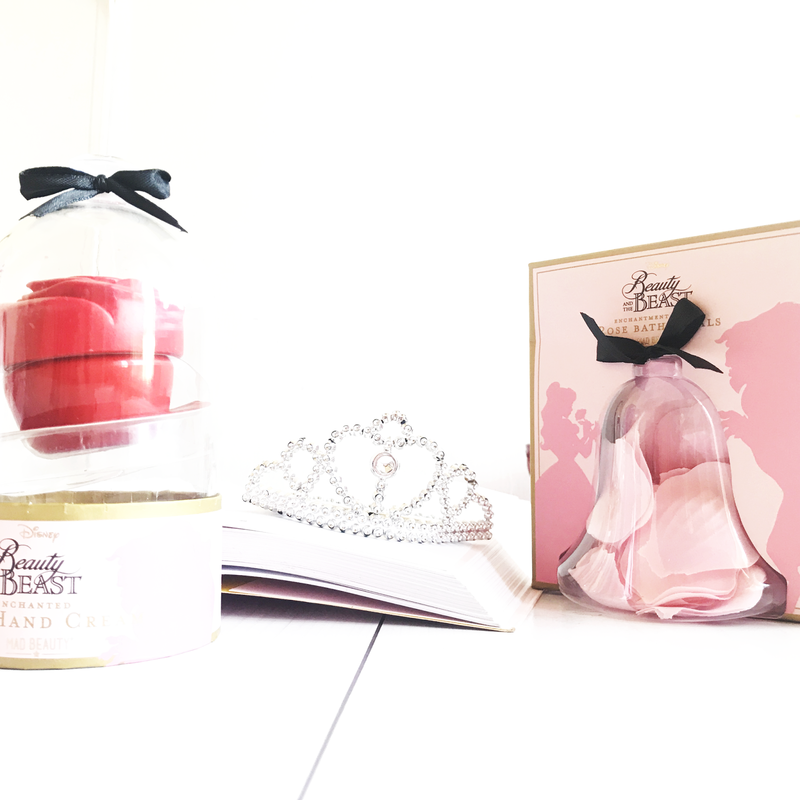 So all of the items today are pamper related and their so affordable, the first is the Beauty and the Beast Hand Cream which will be great for a child or even adults that loves Beauty and the Beast that retails for £6.99. Another item is the Disney Rose Bath Petals you just add a few petals under running water and watch them dissolve this retails for £4.99. In terms of Mad Beauty's product range I also like that they sell products that don't look feminine also and they still have that querky creative flare to them. 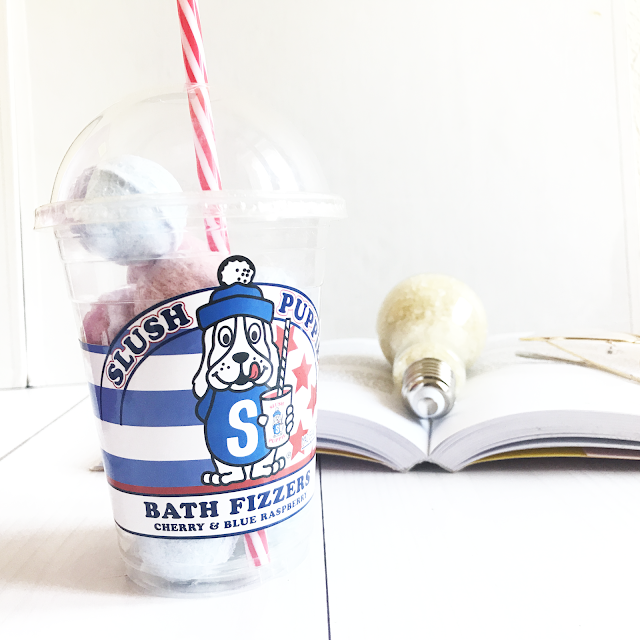 For instance this is the kind of slush puppie that I love its filled with Cherry and Blueberry Bath Fizzers and like all the Mad Beauty products they smell amazing it retails for £6.99. Lastly' I received a Bath Salt Light Bulb, I was so happy that it was filled* with bath salts because I really love bath salts I have loads of different ones and they make a bath so much more relaxing. The scent I received is vanilla which smelt yummy and they have a cherry scented one to, they retail on Mad Beauty's site for £4.99. What I do like about Mad Beauty is the quality of their product's which was a pleasant surprise, I guess because I blog about beauty I did wonder whether I could take the brand seriously as far as product quality was concerned I cant speak for their other items but I really love the products I received. Also there's a lot of happy customers on Superdrug that love them to. 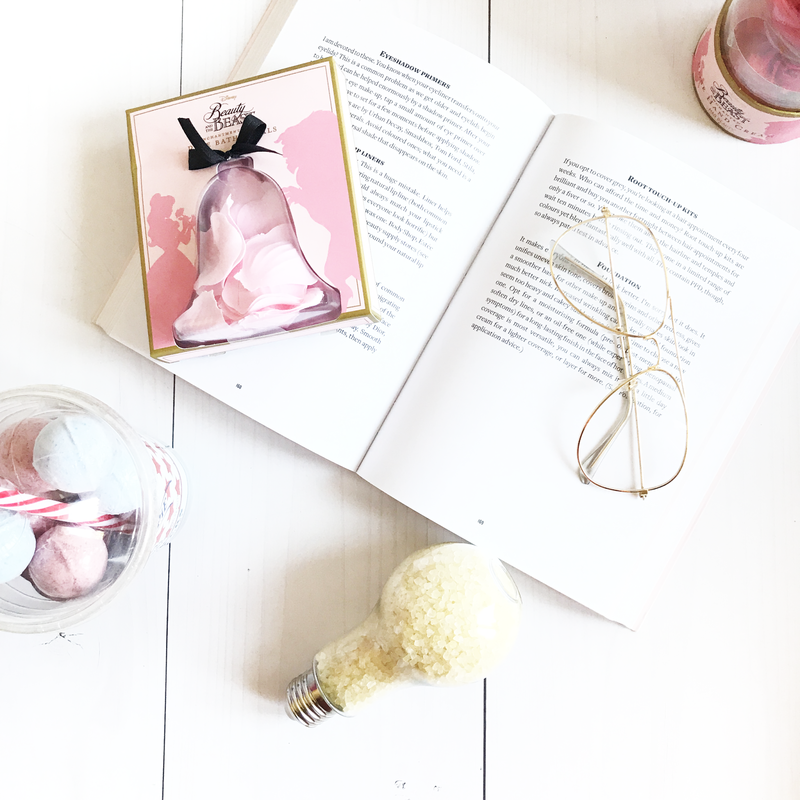 Now that its Christmas theirs even more creative mad beauty going on when it comes to this brand and I am spoilt for choice as to what to get for my nieces because there are so many lovely things that they would like. I have a gift guide coming up where there will be more mad beauty Christmas bits that I am loving . Be sure to check out Mad Beauty's site their site for a wide range of gift and stocking filler bits. Have you tried Mad Beauty before? What are your favourite stocking fillers that you love to receive? I have never tried any products from mad beauty before, but I would love to. the bath bombs look divine, though! I definitely agree that you can never go wrong with gifting nail polishes. I love giving them to my girlfriends!